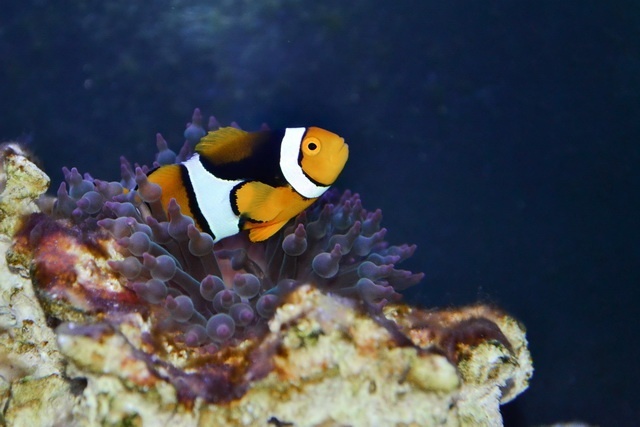 The strength of the mutualistic interactions between sea anemones and clownfish depends on the personality of the fish, Philip Schmiege and colleagues report. A shy, cautious partner benefits a sea anemone more than a bold, venturous fish. Clownfish (also called anemonefish) are safe between the tentacles of sea anemones. The anemones, animals related to jellyfish, hold off the clownfish’s predators with their stinging, toxic nematocysts. The clownfish are insensitive to these cells. Conversely, clownfish chase and bite guests who intend to nibble at the tentacles with which the sea anemones gather their food. So, sea anemones and clownfish are partners that protect each other. But the fish deliver extra services. 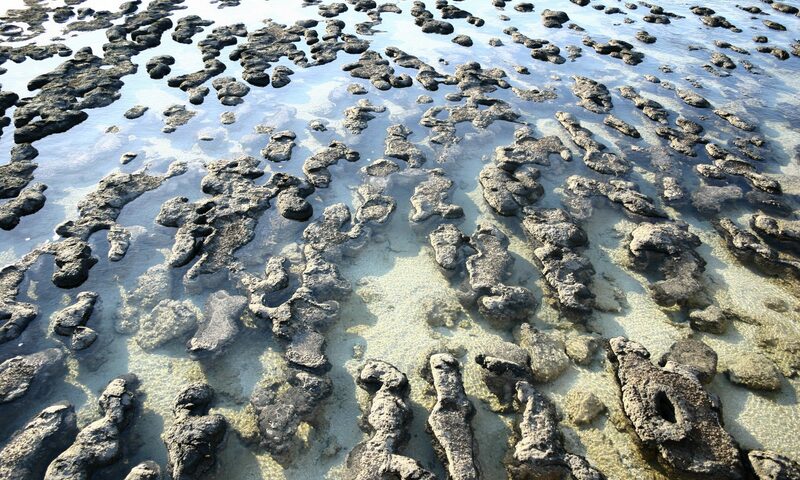 Many sea anemones harbour unicellular microorganisms that, like plants, are able to capture sunlight and to use it to convert carbon dioxide into carbohydrates. They feed these carbohydrates to the anemones in exchange for residence. The microorganisms derive their nutrients from waste products of the clownfish. Moreover, by moving, the fish refresh the water around the sea anemones continuously, guaranteeing the availability of oxygen. By fertilizing the unicellular inhabitants and refreshing the water, clownfish promote the growth of sea anemones. Now, clownfish, like many other animal species, have personalities. There are bold, venturous individuals as well as shy, passive ones. It matters to the sea anemones what personality the fishes have that associate with them, Philip Schmiege and colleagues assumed. And they proved to be right. The researchers brought some wild-caught orange clownfish (or clown anemonefish, Amphiprion percula) into the lab, a species living along coasts of Australia, Asia and Japan. Also, they had grown bubble-tip anemones (Entacmaea quadricolor). Though this is not a natural partner of the fish, they associate readily in the lab. In each of sixty tanks, the researchers placed one anemone and one or two fish; in the field, zero to six fish associate with one anemone. They measured the size of the anemones and kept track of their growth. Also, they examined how bold or shy each fish was by videotaping its activities every day during twenty minutes and assessing from the footage if he ventured away from the sea anemone. The more time a fish spent away from his partner, the bolder its personality. After eighteen months, the biologists noted a difference in the growth of the sea anemones. Anemones associated with a shy fish had grown better than anemones with a bold partner. Apparently, shy fish supply better services. Because they remain in close proximity to their host anemone, they fertilize its unicellular inhabitants better and refresh the water more efficiently. And perhaps the anemones dare to expand their tentacles for longer periods of time to catch food as long as there is a clownfish nearby. In conclusion: the strength of mutualistic relationships, of which the association between sea anemones and clownfish is an iconic example, depends on the personality of the partners.